What Should I Consider When Choosing an Auto Repair Shop? 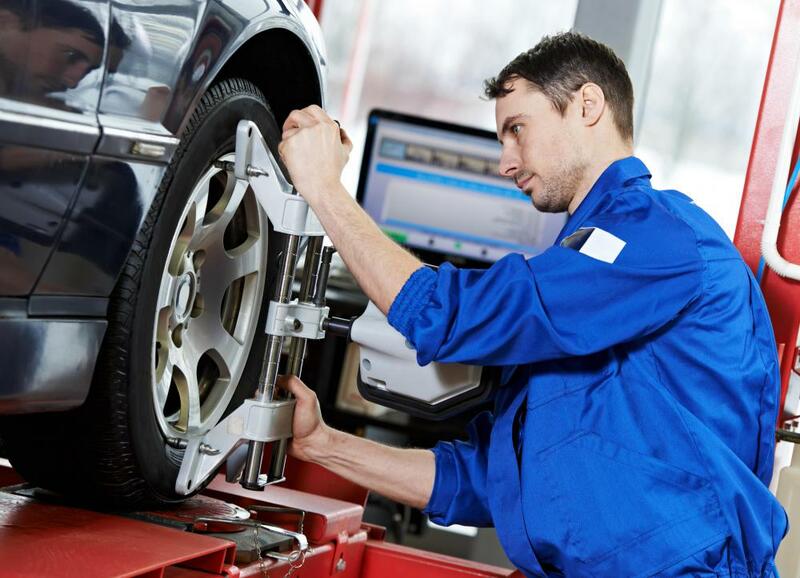 When choosing an auto repair shop, start by asking friends and co-workers for recommendations. Compromises between quality service and cost may need to be made when choosing an auto repair shop. Reputable auto repair shops will often have lots of customer cars waiting to be serviced. It is important to choose a trustworthy mechanic, and who explains things in an easy-to-understand way. Few vehicles ever go from cradle to grave without the need for at least one major repair. The question becomes which auto repair shop best suits your particular needs and your financial or time constraints. One auto repair shop may offer a lower estimated bill, but put your car out of commission for weeks. Another may promise faster service, but the replacement parts may be more expensive. When it comes to auto repair, you may have to make compromises between quality service, timeliness and cost. One important consideration when choosing an auto repair shop is reputation. Local garages are usually known entities in the local community. It often pays to ask co-workers, local business owners and friends where they take their own cars for service and repairs. You may also want to consult the Better Business Bureau for any negative or positive feedback on the various auto repair shops in your area. A rough guide to an auto repair shop's popularity may be the number of cars visible in its garage or parking areas. The better auto repair shops may more cars waiting for repairs or exiting the garages for customer pick-up. There are various levels of service to expect from different auto repair shops. At the top of the list are service centers provided by new car dealerships. The mechanics are usually trained by at least one major car manufacturer, so they are very familiar with certain car models and can obtain original factory parts. The main drawback to using a dealership-based auto repair shop is the expense. Unless the car is still under factory warranty or your insurance covers all repair costs, parts and labor charges may be substantially higher at these auto repair shops. The next level of service can be found in local chain or private garages. Be sure to look for certificates of training in the waiting area or behind the counter. Private commercial auto repair shops usually feature certified mechanics who enjoy their work. Since the shop is not affiliated with a particular automobile manufacturer, the mechanics are usually free to use after-market or salvaged parts whenever feasible. Labor charges may also be lower, since the mechanic may only use clock hours, rather than the official estimated time of repairs listed in auto repair manuals. Perhaps the least expensive form of auto repair shop is the so-called 'shade tree mechanic'. Some people simply enjoy repairing cars as a hobby, so you may want to negotiate a deal with an amateur auto repair garage for maximum savings. 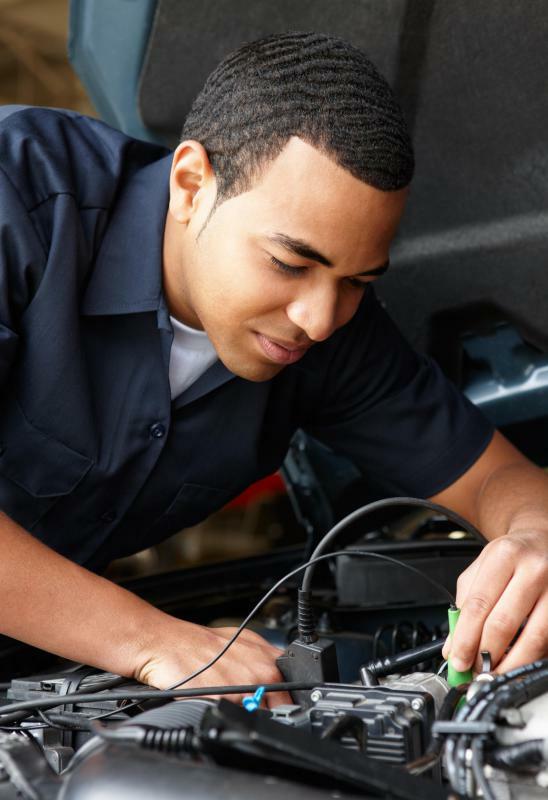 If you don't need your vehicle repaired immediately and you're not especially concerned about quality workmanship, an amateur mechanic may be one avenue to explore. There are also auto repair shops operated by students and instructors through local community or technical colleges. You might want to consider donating your vehicle to one of these training programs in exchange for free or reduced labor charges. How do I Choose the Best Muscle Car Garage? How do I Choose the Best Auto Fleet Repair? What is Auto Fleet Management? How do I Learn Auto Air Conditioning Repair? How do I Choose a Motorcycle Mechanic School? I don't like using just the BBB because they are financially backed by the business. If a dealer messes up someone's car, the BBB has to choose whether they want to get the dealer angry and lose the dues or just send a form letter. That's all I ever got from them was a computer printout from the company and a form letter. I would definitely look at sites where car people go online. I also had some good luck with AAA when I was member, but you can get their list or look in the phone book for what mechanics they approve. If you use a mechanic who works from home, he probably doesn't have genuine parts or might use junkyard parts.